The other day Christy and I ate dinner at our favorite burger place in Plano. Our boys were not with us. We're enjoying our food, looking around, talking. And I keep noticing the amount of kids in the place. Tons of families. But here's the thing: almost all of those kids were on tablets. I'm talking about children, not teens on phones. I just kept looking around. Single parent with three kids at the table: all on tablets. Multiple families eating together: adults clustered at one end of the table, about ten children at the other end: all on tablets. While eating. Look, I get it. Parenting is tough. It's summer, so the kids have been home all day. You're wanting to enjoy a great meal. It's nice to have some empty time to chill. And listen, I am no parenting expert. There is a reason why I do not preach sermon series on parenting: I don't have the answers. I had a conversation at a previous church with a mom who said, "Hey, until you've raised teenagers, I don't want to hear your expertise." (She said it in a much nice way, and she wasn't referring to me personally, but to the idea. But you get her point, don't you? I did). My kids are 16, 13, 10. I don't have enough authority to help you raise your kids. I'm not even trying. Judgment free zone here. But all that being said... meals should be sacred. Even if small talk isn't your thing, there is no reason to have a tablet or phone out at the table. NO TV either. Eating together is an important ritual. You can carve out 30 minutes of screen-free time to share in each other's lives. You'll be giving yourself, and your kids, a gift. A couple of days ago half of our family went to see the brilliant Mr Rogers doc Won't You Be My Neighbor? Mr Rogers' show began in 1968. I was born in 1971. I watched it all the time as a young kid (never at meals). He was adamant about teaching the values of love, respect, honesty, and emotional authenticity. 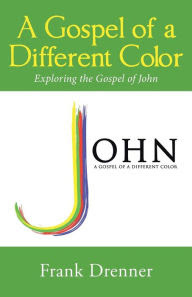 One of his guiding principles was that children have the capacity to love, mourn, celebrate, and experience joy. That there is great value in honoring kids where they are-- not talking down to them, or pushing them to become adults too soon. I am crying while watching this movie. Longing for a time when people taught and lived basic human decency. Before we dismissed each other as snowflakes when we advocated for peace or justice or those with less. Mr Rogers, an ordained pastor, used his blend of child psychology and theology to articulate a vision for a world empowered by goodness. Today?? Yeah, it's missing. Our world is collapsing because of the loss of any conception of human dignity. How can we reclaim it? Putting away screens and talking to each other. Share your lives while sharing your food. Eat at a table in a separate room from the TV. I credit Christy with laying out these expectations for our boys since they were very little. Many families are too busy to share meals together once or twice a week, if at all. Most of us could practice saying 'no' to a few activities in order to say 'yes' to sharing a family meal together. There's a little bit of irony at work here-- you're reading this on a screen; I'm talking about a movie or TV show viewed through a screen. It can be done. It's worth it. I can't count how many friends share posts on social media that say one version or another of the same feeling. The Toy Story 3 feeling. "They're growing up too fast!" I feel it. Our oldest will pack up for college in a couple of years. Not ready for that. In eight years we'll be empty nesters. Don't want to think about that. Maybe instead of lamenting the pace of life we could re-evaluate how we're investing what time we have? God uses families as metaphors for human community. I love the practice our church does for Mother's Day and Father's Day: we honor not just the biological parents, but the "church mom and dads" too. Every Sunday school teacher or mission trip sponsor-- every adult who speaks to and welcomes a child-- is a church parent. Every child is a part of God's family. The separation of kids and parents at the border is a human family crisis and must end. Parenting is hard work. Investing in each other: laughing together, weeping together, sharing stories... is pretty easy. Whatever activity you celebrate this 4th of July, make some of it without screens. Hey, if you're watching fireworks together, don't record it! Leave the phone in your pocket and enjoy with your eyeballs. 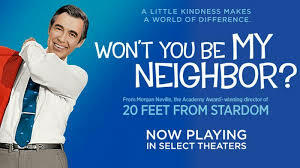 Another great way to invest in family time this holiday week is to see Won't You Be My Neighbor.